Statewide Land Surveying was contracted to monitor, record, and report documents to support efforts by the U.S. Army Corps of Engineers, Portland District (CENW P) to evaluate the status of the Columbia River Estuary population of double-crested cormorants (Phalacrocorax auritus) (DCCO). The documents supports the CENWP Management Plan to Reduce Predation of juvenile Salmonids in the Columbia River Estuary. 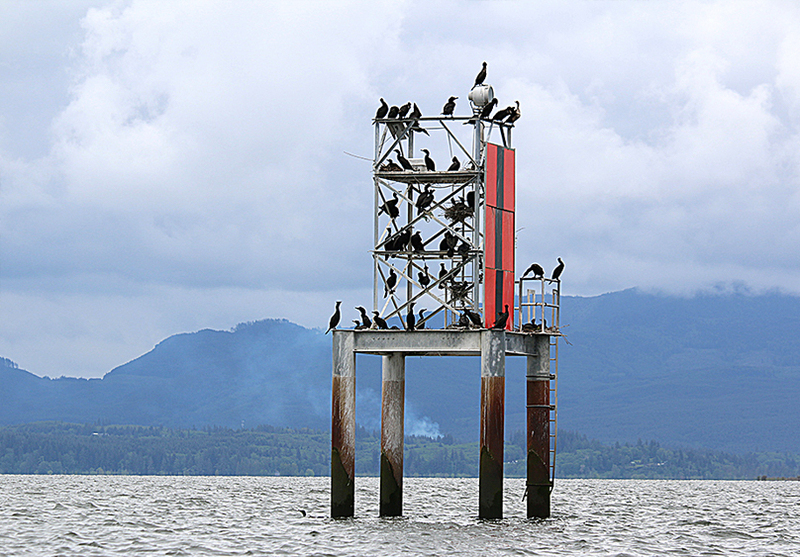 Enumeration and monitoring of DCCO at other colony sites throughout the Columbia River Estuary (CRE), exclusive of ESI. The enumeration and monitoring work on ESI was primarily conducted by field survey and photogrammetric survey utilizing high resolution stereo imagery. General reconnaissance by boat and aircraft was used to supplement the detailed field and photogrammetry surveys in areas of limited visibility. The enumeration and monitoring work for other colony sites in the CRE relied primarily on aerial and boat based reconnaissance for identification and boat based observation for enumeration. Boat and aerial reconnaissance were conducted to detect and identify key loafing and roosting areas, and identify new nesting areas (five or more active nests in one contiguous location). Where more than five active DCCO nests were detected in one contiguous location, detailed counts were obtained by observation from boat.